The Jeep engine originating with the Willys military L-134 four-cylinder around 1940 has seen a number of different changes in size, number of cylinders, technology and power options through today's significantly more sophisticated Jeep motors from Chrysler/Jeep. The Jeep engines were installed and/or built over the years by Willys-Overland, Kaiser Jeep, American Motors Corporation (AMC) and the Chrysler Company. Several engines used in Jeeps were manufactured by General Motors which included the Pontiac "Iron Duke" 2.5L 4-cylinder (used in 1980-1983 CJ's); the Buick 225 V-6 "Dauntless" (used in 1966-1971 CJ's and Jeepsters); and, the Buick 350 V-8 "Vigilante" (found in the 1968-1971 J-trucks and Wagoneers). The reference guide below is for a quick glance at the chronological history of various engines found in Jeeps throughout its long iconic lifetime up until today. Keep in mind that the older a particular model is the greater the chances are that an engine swap may have been done at some point, and that this guide is for the original factory Jeep motor only. Four-cylinder found in MB, GPW, CJ, Pickups, Station Wagons and DJ's from 1940 through 1953. Four-cylinder found in CJ, DJ, Pickups, Stations Wagons and Jeepsters from 1950 through 1971. Six-cylinder found in Pickups and Jeepster VJ's from 1948 through 1956. Six-cylinder engine found in Jeep Pickups, Station Wagons and FC-170 (Forward Control) from 1954 through 1964. Four-cylinder diesel engine found in Jeep CJ's from 1961 through 1969. Six-cylinder motor found in Jeep Pickups, Station Wagons, Wagoneers and the M-715 (military) Trucks from 1963 through 1969. V8 engine found in SJ Wagoneers and J-Series Pickups from 1964 through 1968. V6 engine found in CJ's and Jeepsters from 1966 through 1971. Six-cylinder motor found in CJ's, J-Series Pickups and SJ Wagoneers from 1966 through 1976. V8 motor found in SJ Wagoneers and J-Series Pickups from 1968 through 1971. 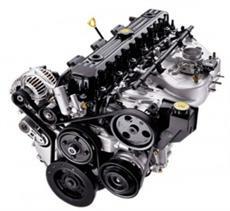 Six-cylinder engine found in CJ's, Wrangler YJ's, Jeepsters, SJ Wagoneers and J-Series Pickups from 1971 through 1990. V8 motors found in Cj's, J-Series Pickups, SJ Wagoneers, Grand Wagoneers and Full Sized Cherokees from 1971 through 1991. 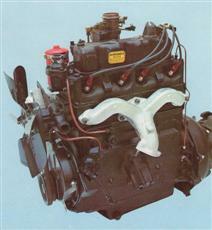 Four-cylinder engine found in CJ's from 1980 through 1983. Four-cylinder engine found in CJ7's, XJ Cherokees, YJ Wranglers and TJ Wranglers from 1984 through 2002. V6 motor found in XJ Cherokees and MJ Comanche Pickups from 1984 through 1986. Four-cylinder (French built) diesel found in XJ Cherokees from 1985 through 1987. 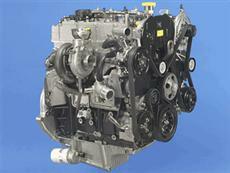 Six-cylinder engine found in YJ Wranglers, XJ Cherokees, MJ Comanches, and ZJ Grand Cherokees from 1987 through 2006. V8 engine found in ZJ Grand Cherokees from 1993 through 1998. V8 engine found in WJ Grand Cherokees, WK Grand Cherokees and XK Commanders from 1999 through 2006+. 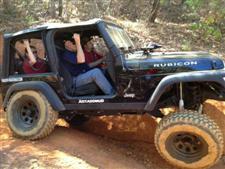 Four-cylinder engine found in KJ Libertys and TJ Wranglers from 2002 through 2006. V6 motor found in KJ Libertys, WK Grand Cherokees and XK Commanders from 2002 through 2006+. Four-cylinder (German built) diesel engine found in the KJ Liberty from 2004 through 2006. 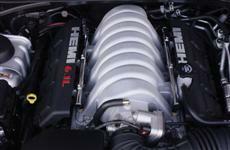 V8 Jeep engine found in WK Grand Cherokees and XK Commanders from 2005+. 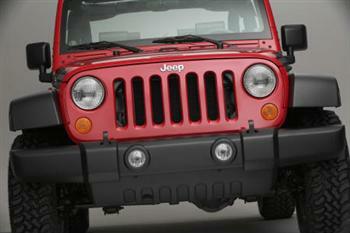 Available in the Jeep JK Wrangler (2 door and 4 door Unlimited). All available in the Jeep Grand Cherokee. Available in the Jeep Liberty. All available in the Jeep Commander. Available in the Jeep Patriot and the Jeep Compass. Jeep Transmission Quick Reference Guide..click here!